Tablets are incredibly useful and can be handy to own. However, there are many different tablets on the market. Besides there are different brand choices, each brand also has a range of models. 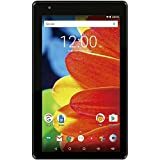 It can be tough to narrow down your options and buy a tablet that not only fits your budget but also provides you with the functions you need. One tablet brand worth checking out is RCA. This is a well-known name in electronics, and as technology has changed, it has expanded its offerings. RCA tablets come in a variety of sizes and with various features. Finding the one that suits you requires some investigation into just what the company offers. To help you out, here is a brief guide and overview of the best tablets RCA has to offer. The Viking line is probably the best tablet RCA has to offer. It is feature-packed and made to stand up to the competition. The latest version, 10, provides you with the functionality of a laptop. It uses the Android system and is set up with Lollipop. It comes with a keyboard that is easy to attach when needed and has a 2-megapixel camera. It is also available in an affordable price range. It has an HD display that measures 10.1 inches, 2GB of RAM, a 1.8-GHz processor and an expanded onboard storage of 32 GB. Using a microSD card, you can go up to 128 GB. Finally, the battery provides up to six hours of usage time, and the tablet weighs in at 2.7 pounds. This Android-based RCA tablet has a screen measuring 11.5 inches. It is a 2-in-1, which means it comes with a detachable keyboard so you can use it as a tablet or a laptop, allowing for more functionality. It has a 1.3-GHz quad-core processor for fast operation. Even though it is running Marshmallow, the tablet comes with the WPS Office app already installed to increase its functionality and make it more laptop-like. It has 1 Gb of system memory with 32 Gb onboard storage. It also has an HDMI port and camera. The battery lasts up to six hours on one charge, and the device weighs in at 1.65 pounds. Lastly, it is Bluetooth compatible. 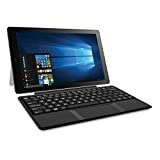 This tablet features a detachable keyboard so you can get a laptop-like experience when using it. It runs Android 6.0, so you have access to the Google Play store. It also features a camera and built-in GPS. The 11.6-inch screen provides HD resolution. It runs on a 1.3-GHz quad-core processor and has 32 GB onboard storage. You can easily set it up with Bluetooth, and it has a stellar battery with up to eight hours of usable time. This tablet offers up to eight hours of battery life, which lets you explore using the Android Marshmallow operating system. 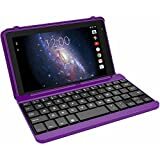 You can fully enjoy the Google Play store, take pictures or videos with the camera, and make your tablet more functional with the detachable keyboard. It has a 12.2-inch screen with HD resolution. The storage comes in at 32 GB but is expandable with a microSD. It also features GPS. This is a 10.1-inch tablet that converts to a laptop with the easy-to-attach keyboard. It's equipped with an Intel Atom Z8350 processor and has 32 GB of storage and two GB of RAM. It is Bluetooth compatible. This is a Windows tablet running Windows 10, and it also gives you access to the Office Suite from Microsoft. This makes it ideal for business or school use because you can create documents, spreadsheets or presentations easily. Battery life is up to six hours, and it has a camera. Finally, this tablet weighs in around 2.1 pounds. This is a mobile TV tablet. That means it is made exclusively to let you watch TV. While it is similar to the old handheld televisions, it actually packs more of a punch due to the advances in technology, such as the built-in camera, GPS and various ports, such as HDMI. It does run on Android, using Ice Cream Sandwich, which means it also functions as a normal tablet, letting you play games and do other activities besides watching TV. It has a 1-GHz processor with 8 GB of memory. The 8-inch display weighs only 1.4 pounds. It has built-in WiFi and allows you to connect to standard television broadcasts with its telescoping antenna. However, it also allows you to use the Google browser and television apps to expand your watching capabilities. It also can access the Google Play store. When using as a TV, it has a four-hour battery life, but browsing the web and other activities will equal about 10 hours of battery life. The Voyager line is affordable, which is a trademark of all RCA tablets. You won't break the bank buying one of these functional devices. It also runs on Android, which is incredibly helpful if you are used to having the Google Play store at your fingertips. This is a basic tablet, meaning that it won't offer you a lot of bells and whistles. However, it is simple to use and is ideal as a first tablet. It has a 7-inch screen and runs Android Marshmallow. It runs a 1.3-GHz quad-core processor and has 16 GB of storage with an expandable 128 GB card slot. It is Bluetooth compatible as well and features a camera. Originally, this tablet was designed for sale only by Walmart, but it can now be found from other retailers. As you consider the different tablets RCA has to offer, you should always take note of the various features each has. Functions in a tablet will directly impact your experience. They can limit what you can do or how much you enjoy using your tablet. If you have never bought a tablet before, you may be unclear about what features you need or how a feature could impact usability. To help you understand features better, here is a look at the most popular features and why they are important. Operating system: The operating system for most RCA tablets is Android, but you do want to look at what version it uses. Ideally, you want the most recent version because it offers the best functionality. It also gives you the best access to Play apps. Windows-based tablets are often slower than Android tablets, but using the Windows operating system can give you more power to use the tablet as a laptop because you get access to all the Windows programs and have the ability to save and organize files more easily. Screen size: Screen sizes vary greatly from small to large. RCA tends to stay between seven and 11 inches. The screen size will impact how easy it is to see things on your tablet. A larger screen can make it better when watching a video or working on a document. However, with a larger screen size, you get more bulk, and it may be more difficult to carry it around easily. Ports: If you want more usability with your tablet, then you need to consider the ports. Some only have a headphone jack and mini USB port for charging, while others connect with HDMI. Also, some allow for additional storage with SD card slots, which means you can add to the memory of the device. You should consider what you may need to attach your tablet to when looking at the port options. WiFi: All tablets come with WiFi built in. However, you may want to review or test out the function of the WiFi, which may be impacted by its capabilities, such as whether it operates on 3G or 4G. Cellular service: While we mentioned WiFi above, you may run into tablets that also allow you to use cellular service to provide data. Having this option makes the tablet more usable if you are constantly on the go, but with WiFi hotspots pretty much everywhere these days, this capability is not really needed for most people. However, make sure you think about how you'll be using your tablet so you can be sure it has the connection options you want. Battery life: You want a decent battery life where you won't be tethered to a charger all the time. This really depends on how much you will use the tablet. If you think you will be on it all the time, then you may want to look for the longest battery life you can get. Of course, there are other features, such as keyboards and sound systems that you may also want to look at, but this list provides you with the basic features that you should always review when buying a tablet. As you shop for your tablet, you may forget to think about some important points. Get organized before you shop. Here are some tips to help ensure that you choose the right tablet and get the best value for your money. Consider upgrades. Some tablets allow you to upgrade the operating system, but some don't. The operating system directly affects the speed and overall function of the tablet. If you cannot afford to buy a tablet with the latest OS, at least make sure that you can upgrade it. Think about app access. Most people get tablets to download apps, but if you choose a tablet with limited access to a good app store, you won't get the functionality you want. Luckily, most RCA tablets offer Android OS so they sync with Google Play, which provides pretty much every app you could want. Get a feel for the device. The shape, size and weight of a device can affect your satisfaction with it. Think about holding it and using it all the time. Consider whether it is comfortable to hold or if the weight is too heavy. Think about storing it. Will it fit in a bag or purse easily? You want it to be easy to carry and use, which is directly impacted by the shape, size and weight. 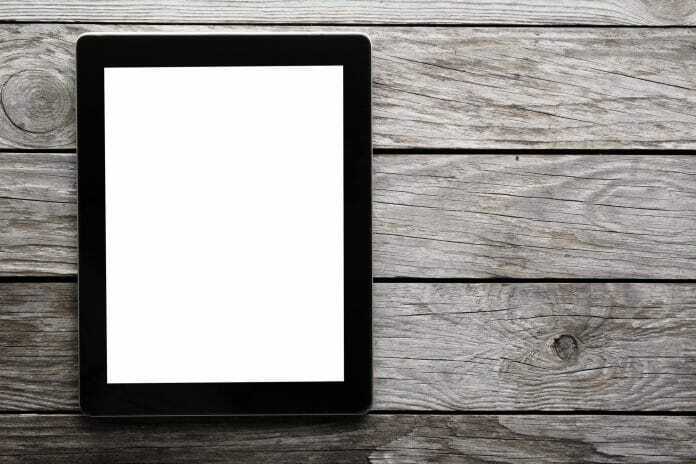 When it comes to price for a tablet, there are a few factors that directly affect how much you will pay. Let's take a look at them. Size: The bigger the tablet, the higher the price. This is pretty much standard. You will find that there is often a large price difference for just a few inches of difference in size. However, you should not compromise usability for cost if you can avoid it. Bigger screens are often better if you will watch a lot of videos or if you will use the tablet like a laptop. Memory: Just as with computers, the more memory a device has, the more it will cost. Obviously, you need to have enough memory so that the device isn't slowed down by lack of storage, but getting too much memory is really just a waste of money. So, know how much you need to use your tablet comfortably. Battery life: The better the battery, the more you will pay. Battery life is a constant battle in this industry. The capability of batteries is being stretched to provide you with portability and function. However, if battery life is important, it may be worth paying more. The main thing when looking at RCA tablets is to understand that they have a lot to offer. While they are not a huge name in the market, this company has made an impact in electronics. You can expect the same craftsmanship to translate into the tablets. As you shop, don't forget to look for the right features and to be a little picky so you get exactly what you want from the tablet. In the end, an RCA tablet can be exactly the right buy at a good price.